Please note: the following page is for advanced users only. We only give limited support for this advanced option to output serialized order metadata. On this page we explain how to get serialized order metadata and output it on a DYMO label. Not sure what serialized order metadata is? You probably are not using it and can skip this information. A serialized string most likely contains a multi-dimensional array with specific order information. It contains multiple values belonging together and is most-likely added by a plugin. 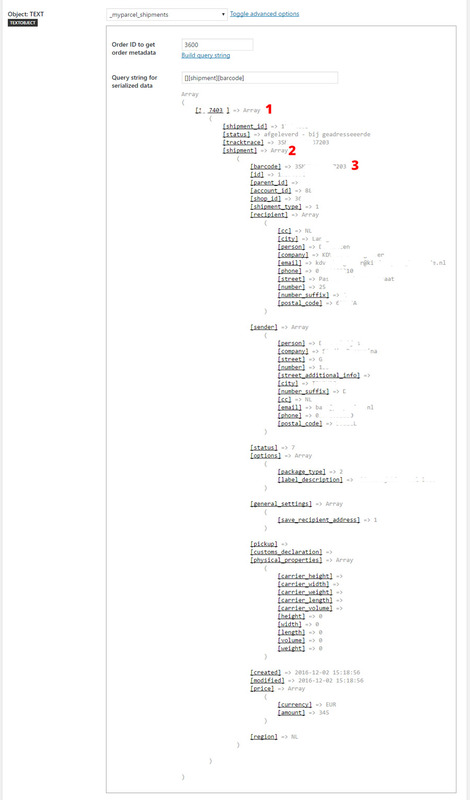 At this moment WooCommerce itself does not save order metadata as a serialized array. This is for advanced users only. Back-up your website first! If you want to use advanced options for order metadata you have to enable this function before you can start using it. You can do this by adding a small filter to a custom plugin or your theme’s functions.php. Just copy-paste the above code. You do not need to modify it. Once advanced options are enabled you’ll get an extra option if you select order metadata. If you select order metadata it will show a link “Toggle advanced options”. If you click on it a new section opens where you can add advanced options for that specific order metadata field. To build a query string you need to get example data from an existing order. In the example above we are going to build a query string from order 3657. Click on the link Build query string to start. If there is no serialized data available for the specific order metadata it will show an error. If there is a serialized data available it will output the complete (multi-dimensional) array. 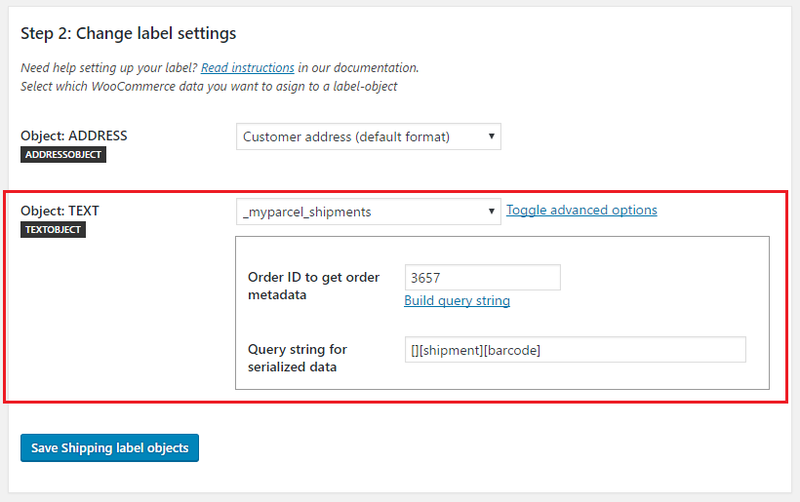 The example below shows serialized data for the (Dutch) MyParcel plugin which is used for shipping. To build a query string you click on the underlined items. This will add array keys to the textbox behind “Query string for serialized data“. The label will contain the shipment-barcode.